World class accredited Six Sigma Black Belt Powerpoint training material that has been updated to include references to the latest statistical software using Minitab version 18, SigmaXL version 8 or JMP version 13. This is a comprehensive package containing over 1300 slides addressing all topics in the D.M.A.I.C. problem solving methodology. The Six Sigma Black Belt Powerpoint curriculum has been reviewed and accredited by the Council for Six Sigma Certifications to meet the standards met by all other reputable six sigma training providers. Our content aligns with CSSC, IASSC and ASQ bodies of knowledge making it perfect for instructors and individuals. The Six Sigma Black Belt Powerpoint product also includes data files that match every data analysis example demonstration in our training curriculum. A total of three dozen data files enabling you and your students to walk through every analytical exercise step by step. Additionally, this package boasts the inclusion of all Tool & Template files. You will find these tools extremely useful for projects and everyday work. 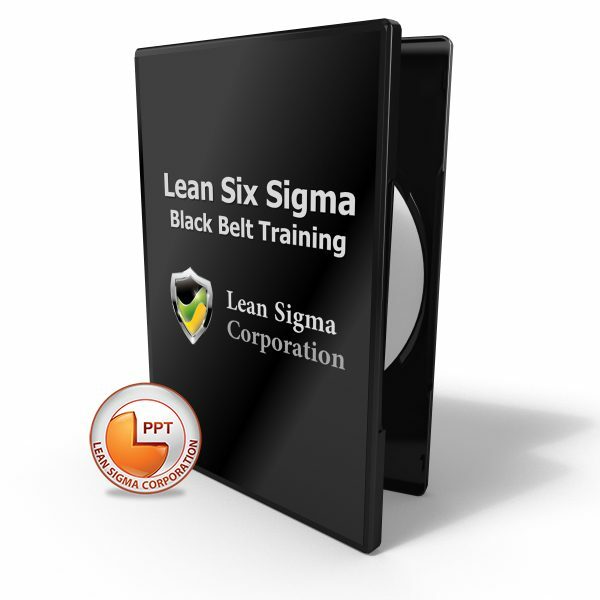 The Six Sigma Black Belt Powerpoint is available in 3 different software versions. Use the courseware version dropdown selector above to choose the courseware option that best meets your needs. Your options are Minitab, SigmaXL and JMP. You can learn more about each option below. This training material is perfect for exam preparation or coaching others to pass their exam. If you want to become a Six Sigma Black Belt then this training package is everything you need to begin your career advancing journey. Below is a set of 65 pdf slides representing our powerpoint slides that demonstrate the quality and professionalism of our courseware. You can use these slides to evaluate our content which displays topics such as "What is Six Sigma", "Pareto Charts & Analysis" and "Multiple Regression". Our Six Sigma Black Belt Powerpoint curriculum and body of knowledge is aligned to CSSC, ASQ, IASSC bodies of knowledge and more importantly, accredited by the Council for Six Sigma Certification. The Council for Six Sigma Certification is a professional association devoted to ensuring that curriculum providers and training programs maintain minimum standards for both Six Sigma certification and Lean Six Sigma certification. The Council provides accreditation services to more than 165 countries around the world and have accredited numerous universities, 3rd party training firms, consultants and individual trainers. 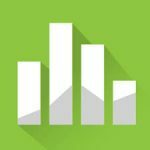 Lean Six Sigma Black Belt Powerpoint files featuring Minitab for use on all statistical analysis exercises throughout the curriculum. Lean Six Sigma Black Belt PowerPoint files featuring the use of SigmaXL for all data analysis exercises throughout the curriculum. Lean Six Sigma Black Belt Powerpoint files featuring JMP for use on all statistical analysis exercises throughout the curriculum.